Next week Sony will make good on its promise of PlayStation Plus for Vita, and damn is it impressive. Its no secret that Sony’s newest handheld is struggling, sales have been less then stellar, and developers are hesitant to jump aboard because of that. But perhaps the newest PlayStation Vita firmware update, simply titled 2.0, can breathe some life into the Vita, or just make current Vita owners very happy; which this news should definitely do. 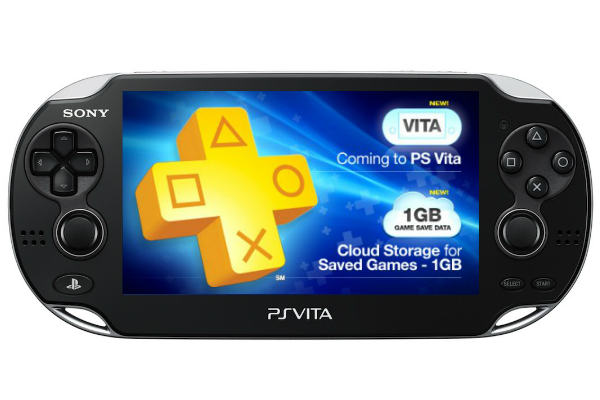 On Monday November 19th all Vita’s will be able to check emails, wirelessly sync to PC’s, adjust PSOne classics settings, and get an improved internet browser, but if you happen to be a PlayStation Plus subscriber, then you also get 1 GB of Vita Cloud Storage, separate from your 1 GB of PS3 Storage. You also can obtain the 6 Vita games below at no charge to you, and this list is pretty darn impressive. Gravity Rush and Tales from Space are some of the best titles available for the Vita, and Uncharted and Wipeout are alright in their own way as well. But the one that probably doesn’t stand out as much, is the most impressive. Final Fantasy Tactics is a great game, and the PSP update War of the Lions boasts several improvements. That game alone makes me quite jealous of this first month of Plus for Vita, as I have never been able to get my hands on the PSP title myself. If you have a Vita and Plus make sure to download these games when they are released on Tuesday November 20th.